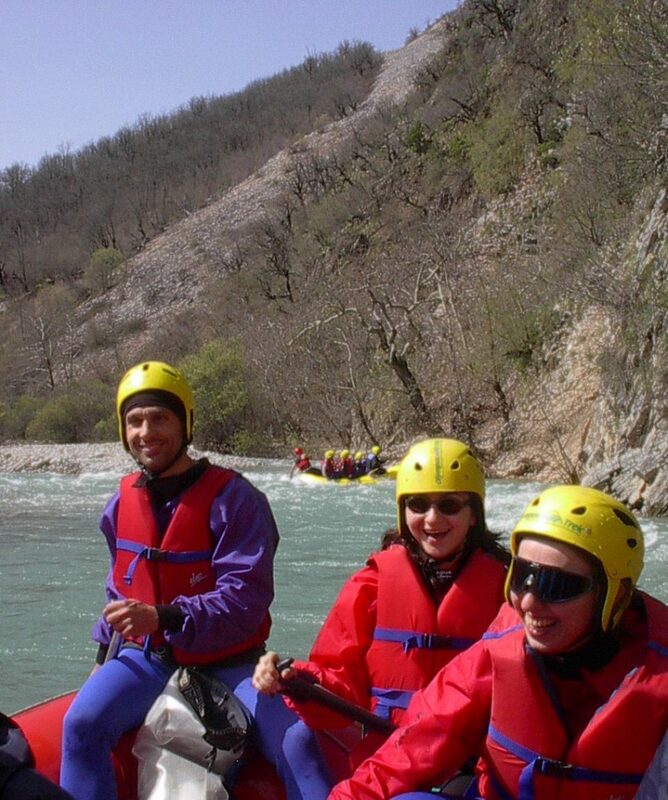 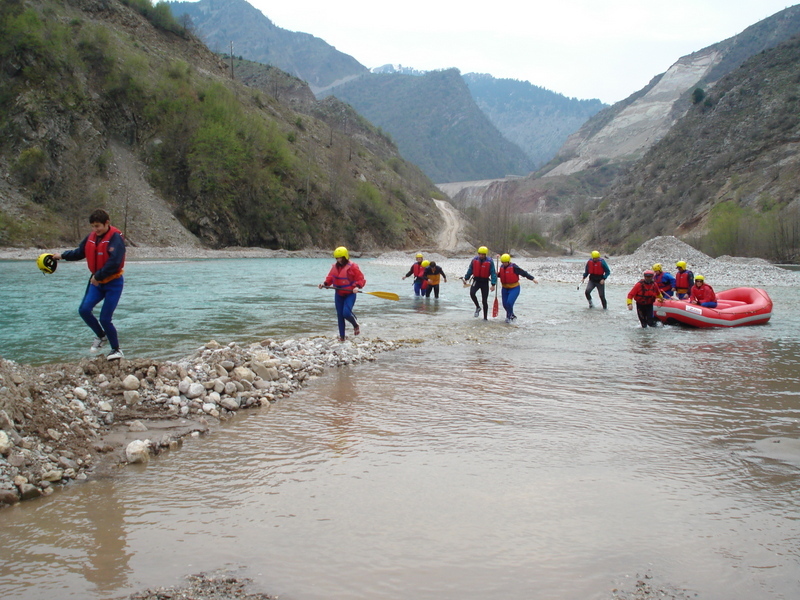 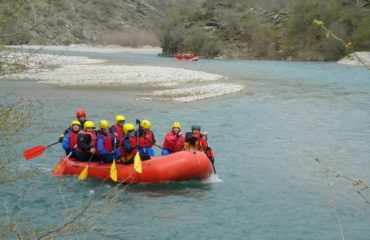 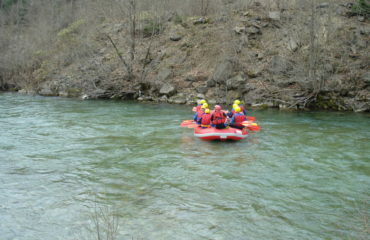 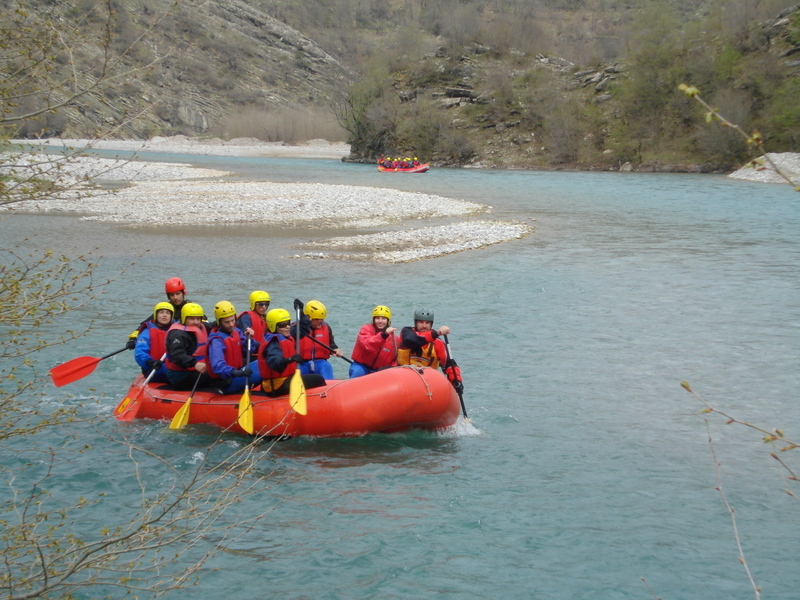 Rafting in Acheloos (Aspropotamos). 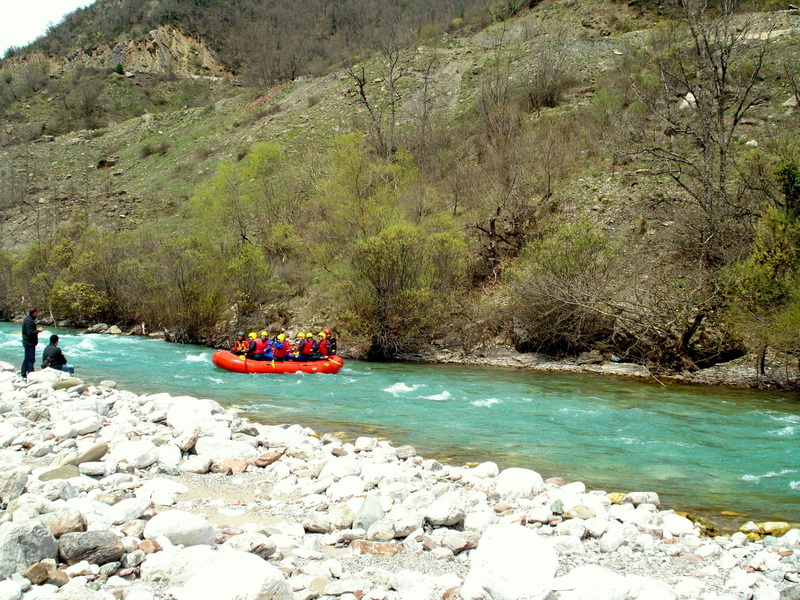 Route “Aspropotamos II”. 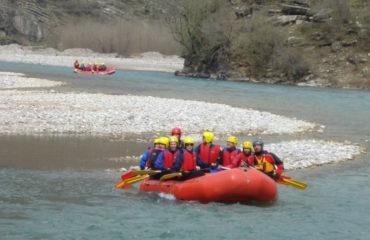 Meet at the Alexiou bridge. 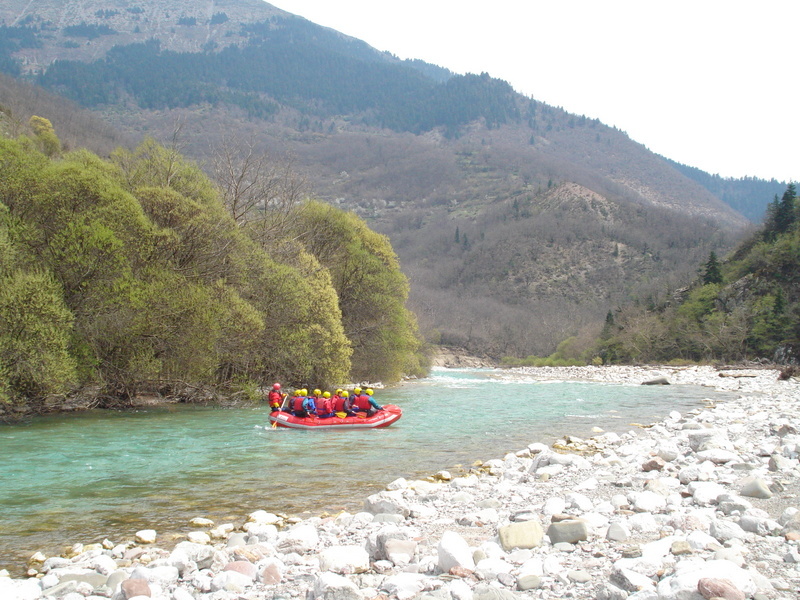 This is the second part of the river (the actual continuation of Aspropotamos I). 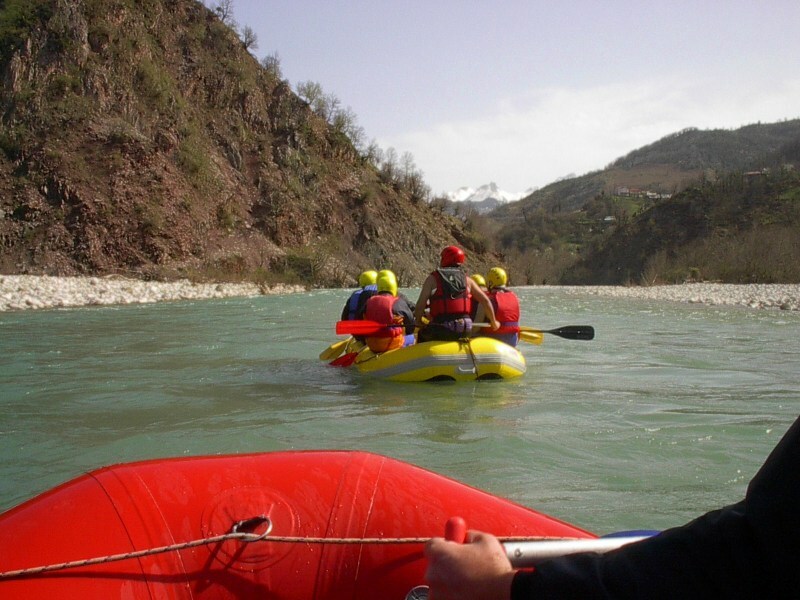 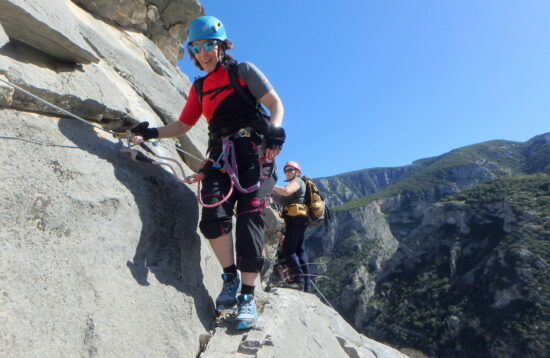 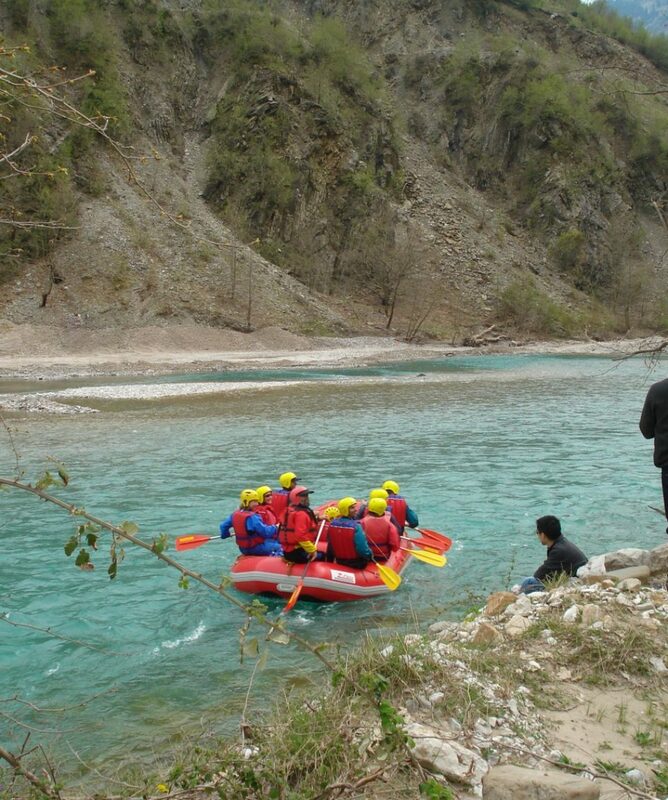 The rafting route starts at the Alexiou bridge and ends just before the Mesochora dam. 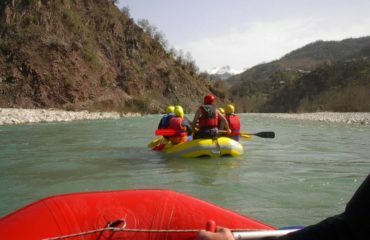 Gradually, as we raft down the river, the valley widens more and more, revealing unique views of the surrounding mountain tops. 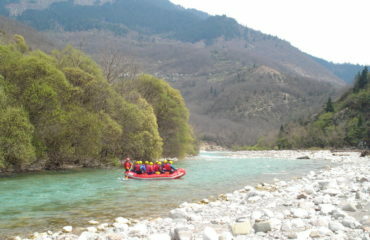 Every turning holds a new visual surprise of natural beauty! 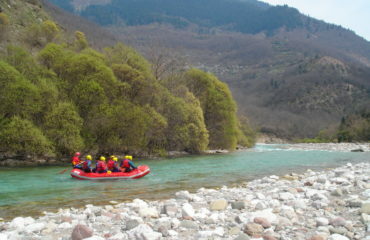 Most usually, the water offers us a blue crystal clear color! 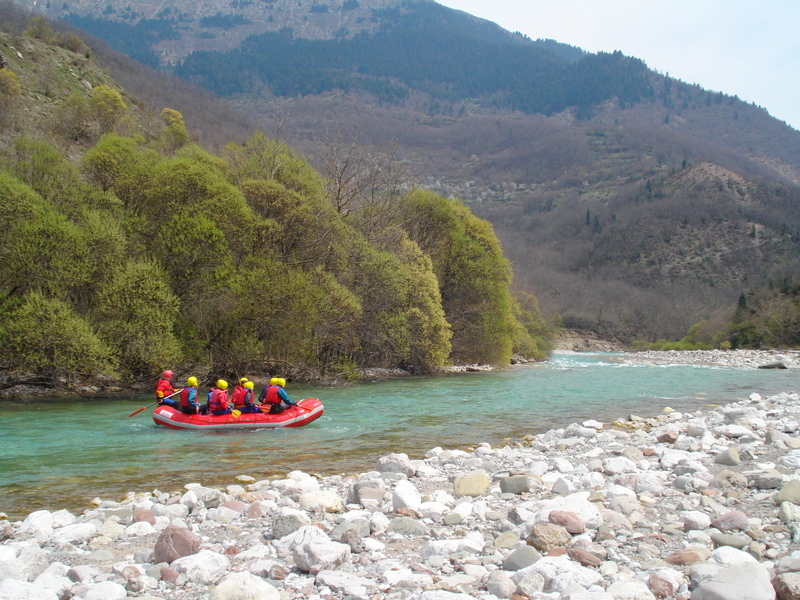 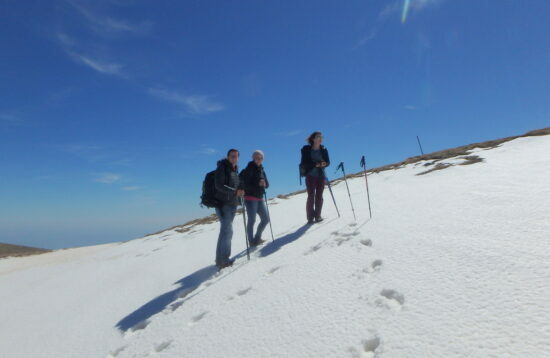 This wonderful feeling of being in such a special place with a strong sense of isolation and untouched nature – rarely found in Europe today – accompany us to the end. 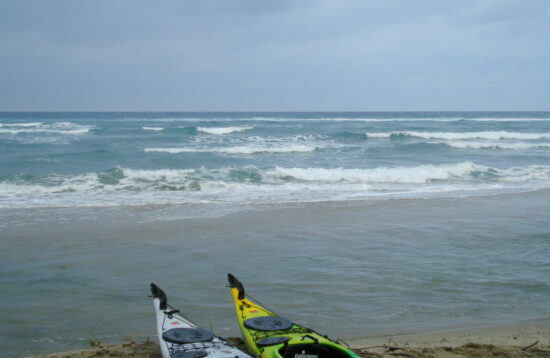 We stop at one of the numerous white pebbled “beaches” along the ride for hot drinks and cookies, to admire the surroundings and take a long breath. 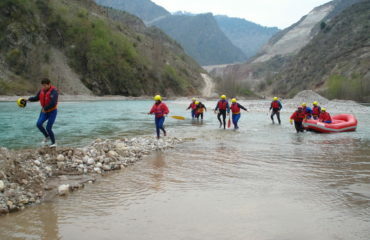 The route finishes a little before the Mesochora dam. 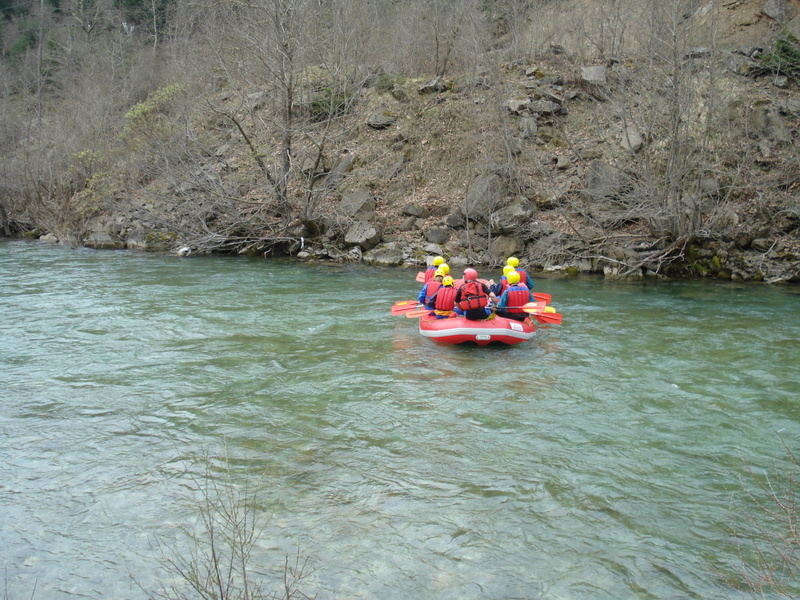 Duration in the river, 2.45’ to 3.00’ hours with grade II and III rapids. 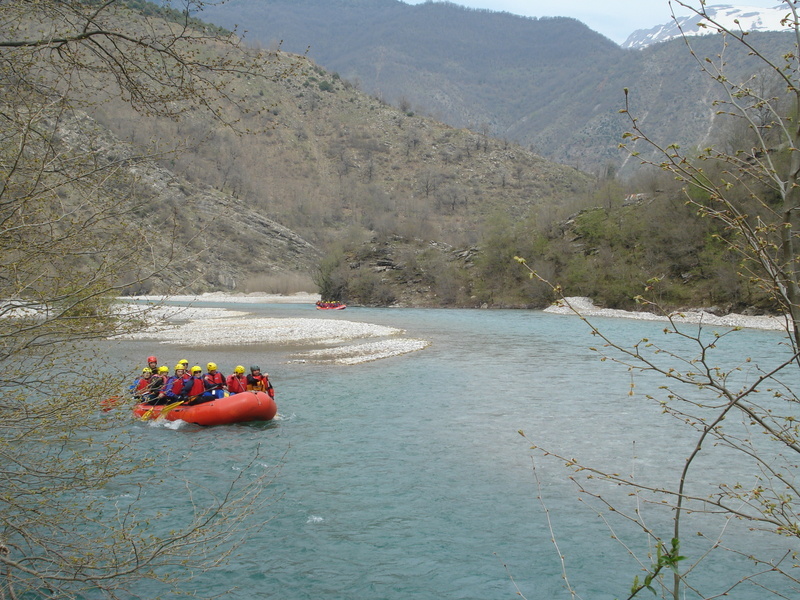 You are transferred in our vehicles back to your cars at Alexiou bridge for your return, after you have enjoyed the appropriate picnic. 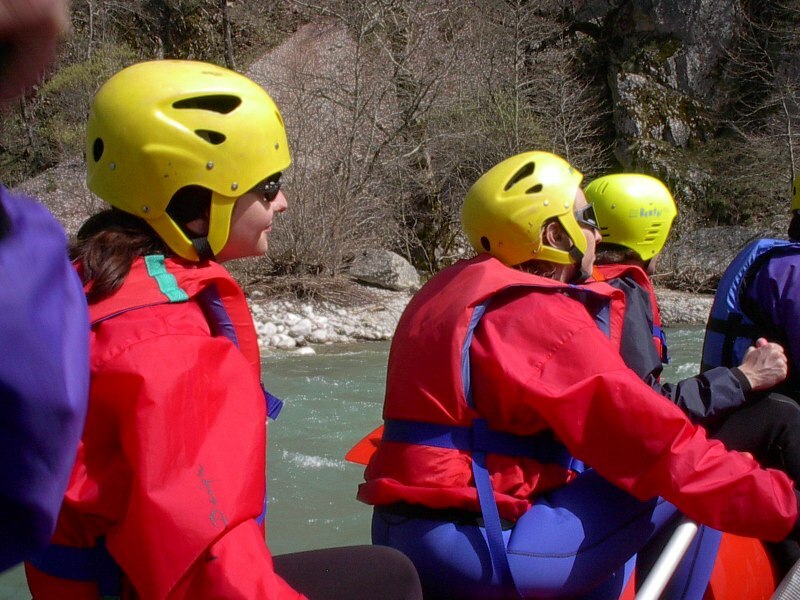 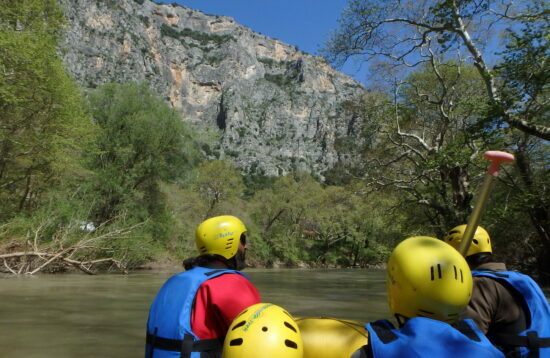 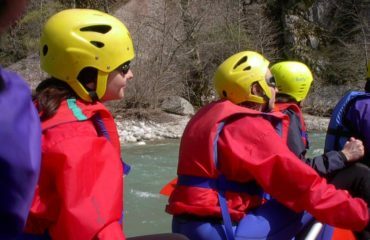 All about the Rafting in Aspropotamos II section. 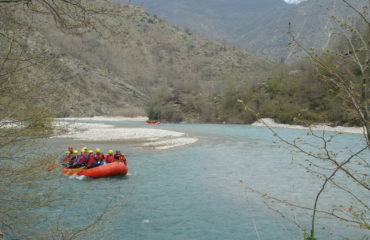 River Acheloos (Aspropotamos), central Pindus..